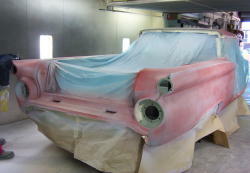 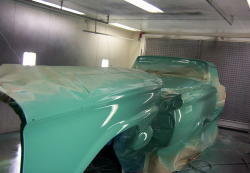 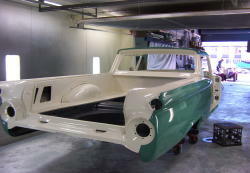 The panels and bodyshell as delivered and preped for primer.The owner had already repaired all the panelwork. 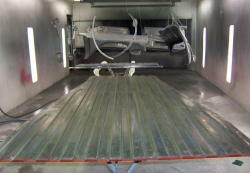 As the body was in very good condition very little filling was required to get it all straight. 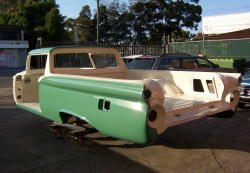 A two tone colour scheme was chosen for the ute, first the lower colour was applied. 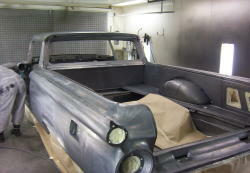 Then the upper. 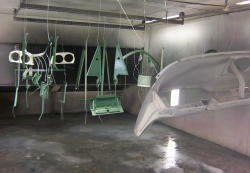 Assorted parts ready for painting. 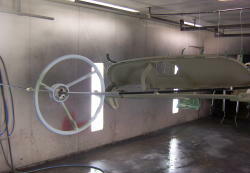 The painted body and components were then returned to the owner for reassembly.